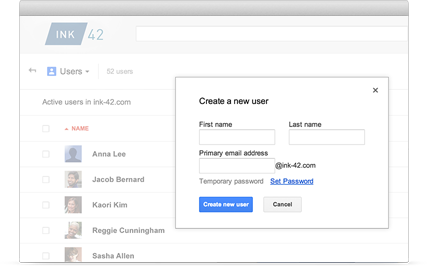 Easily add users, manage devices and configure security and settings so your data stays safe. Administration shouldn’t need a manual. Keep data secure by enforcing BYOD security policies on employees’ iOS and Android devices. Use device management to locate lost phones and lock or wipe devices remotely. Call or email SimCloud support. Combine SimCloud’s support team, with Google’s world-class data center networks, and we’ve definitely got you covered. Use the Google Apps Marketplace to find integrated solutions like CRM, project management, compliance and more – all available with a single sign-on. 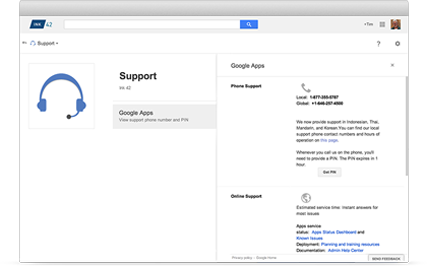 Monitor your company’s use of Google Apps and get alerts about suspicious activity. Audit capabilities give you a record of changes so you can pinpoint exactly what you need. 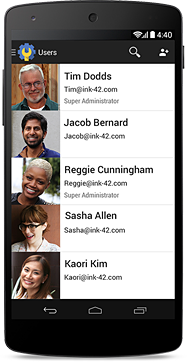 User accounts give people a name and password for signing into Google Apps, as well as an email address. You can also create accounts to use as mailing lists and give people alternate email addresses. Can I grant administrator privileges to other users? Yes. You can grant a user administrative privileges by assigning them one of the available administrator roles.